My Grow Connect is a new online platform for people growing, sustaining and providing space for plant life to blossom in their communities. As we grow, we need you to advocate for a more efficient and sustainable growing system by joining us as a Community Connector! Who’s the perfect match: People who have a belief and a passion for green and sustainable practices as a driving force in creating a more connected and sustainable community. If you are part of a community garden, a home grower or someone just interested in going green, this is the perfect place for you! 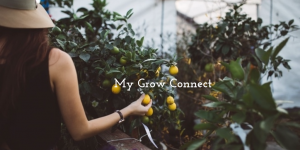 What you do: Share My Grow Connect within your networks (farmer’s markets, community meetings, social media) to illustrate how this platform works in real time! I will provide postcards and swag for us to spread the word to our friends and neighbors! We are working to develop a fully functional site and can do so with monetary and non-monetary donations. Editing, maintaining and improving the site will continue as we secure monetary funds — right now we are bootstrapping and maintaining the site with the help of friends and volunteers. The cost of keeping a social capital networking site like My Grow Connect includes maintenance and a hosting site capable of meeting the high demands and density of our growing site. We appreciate your support and look forward to improving My Grow Connect with your help. As always, you are welcome to leave your two cents below to help improve the My Grow Connect Experience.